Using the plugin, Aperture users can import the following data into Lightroom: Flags, Star Ratings, Keywords, GPS Data, Rejects, Hidden Files, Color Labels, Stacks, and Face Tags. Color Labels, Stacks, and Face Tags are imported as Lightroom keywords, and because adjustments to photos made in Aperture can't be read into Lightroom, the tool will import both original images and copies of images with adjustments applied. This plugin should make life considerably easier for those wanting to migrate from Aperture (which has been discontinued by Apple) to Adobe's Lightroom. Keep in mind that this plugin does require a subscription to Adobe's Creative Cloud, which starts at $9.99. Adobe yesterday published a six-page document outlining a workflow for those users who want to transition from Aperture to Lightroom. Its an interim measure for those users who want to switch to Lightroom now, but Adobe also affirmed their commitment to develop a proper migration tool for Aperture and Adobe Lightroom. At Adobe, we’re working on a migration tool to help you bring your photos into Adobe Photoshop Lightroom from Aperture, but if you’re eager to switch before the tool is ready, this guide can help ease your transition. We recognize that this migration may be a challenging process and offer the following resources and methodology to help get you up to speed with Lightroom and provide a road map for successfully migrating your photos. This all comes after Apple announced in late June that it was ending development of Aperture. Apple is instead focusing its development efforts on the new Photos app, launching on Yosemite early next year. Before we can look to the future, let’s look at the past. Aperture itself has been around since 2005; nearly a decade. And of course it started being written well before that, so we are talking about 10+ year old code. The cloud, the iPhone, and pocket sized digital cameras that surpass the quality of film not only didn’t exist, but were barely a twinkle in Steve Jobs’ or any technologist’s eye. Aperture is a photo editing and management tool written for users used to an old school workflow. Go on a shoot. Sit down to edit. Share when you’re done. But that’s not the world we live in anymore. Today we want to shoot, share immediately with a cool effect, edit on an iPad, sit down at your 4k display and get serious, pick up the iPad and show off what you’ve done, mix, repeat. We want our devices, our libraries, our experience integrated and seamless. This simply can not happen with Aperture as it is today. Also, don't miss his comment follow-up and analysis of the Photos.app screenshot shared by Apple. In short, Joseph argues, Photos 1.0 may not ship with all the features of Aperture as you know it today, but he is confident that Apple will continue to iterate on the product. Adobe's Creative Cloud Photography plan (which includes Photoshop CC and Lightroom) is a $9.99/month subscription, but the app is also available as a standalone purchase. I personally never needed Aperture or Lightroom, but I know a lot of people who have been using Adobe's app for several years now. According to Apple, functionalities from Aperture will be integrated with the new Photos app for OS X – the screenshot chosen for the announcement today is interesting. The trial version of iWork '09, Apple's productivity suite that includes Pages, Numbers, and Keynote, is no longer available on the company's website for download. The company has replaced the former iWork trial webpage with a message informing customers that iWork is available on the Mac App Store. On the Mac App Store, the iWork apps are available as standalone purchases priced at $19.99 each. The iWork trial webpage is still available on some international Apple.com websites, such as the Italian one, although we are hearing reports that the download returns an error, reloading the webpage and displaying the same message about the Mac App Store. The iWork trial briefly disappeared last year, but came back shortly after. In March, Apple also announced the beta of iWork.com (which iWork '09 supported) will be discontinued in July. Similarly, the company has removed the trial of Aperture 3 from its website, with users on Apple Support Communities noticing the change at least more than two weeks ago (recent Apple support documents still instruct users on how to remove the Aperture trial). 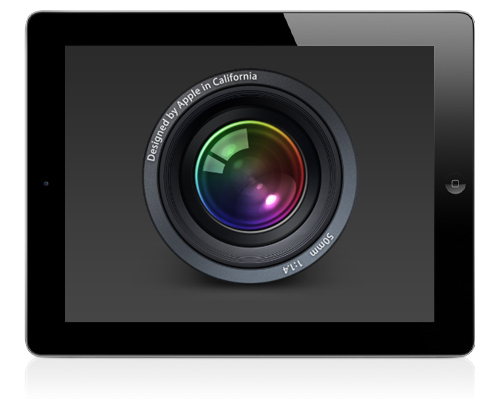 Aperture is available on the Mac App Store at $79.99. The trial version of Aperture is no longer available. If you currently have a copy of the Aperture 3 Trial installed on your Mac, you must delete it from your Applications folder before downloading Aperture 3 from the Mac App Store. The removal of trials from Apple.com shouldn't come as a surprise. The company has been gradually shifting all its software releases to the App Store, including major releases of OS X and Final Cut Pro. In July 2011, Apple also shut down the Mac OS X Downloads webpage, redirecting customers to the Mac App Store. Apple, however, still has a trial of Final Cut Pro (which is sold at $299.99 on the Mac App Store) available on its website, suggesting that more expensive software may still receive support for trials in the future. Following the release of iOS 5, OS X Lion 10.7.2 and iPhoto 9.2, Apple has also released Aperture 9.2, an update to the desktop photo editing software that adds iCloud capabilities and a number of new features. As Apple details in iCloud's Help section, the new Aperture allows users to drag photos into the app's library to upload them to Photo Stream. You can drag one or more photos from your library (Events, Photos, Places, or Faces) to your Photo Stream. 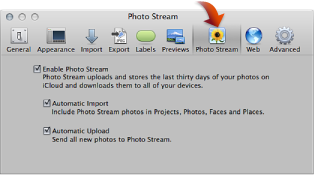 Users can enable Photo Stream in Aperture's Preferences -> Photo Stream and, similarly to iPhoto 9.2, choose whether they want to enable Automatic Upload and Import. You can find Aperture at $79.99 on the Mac App Store.